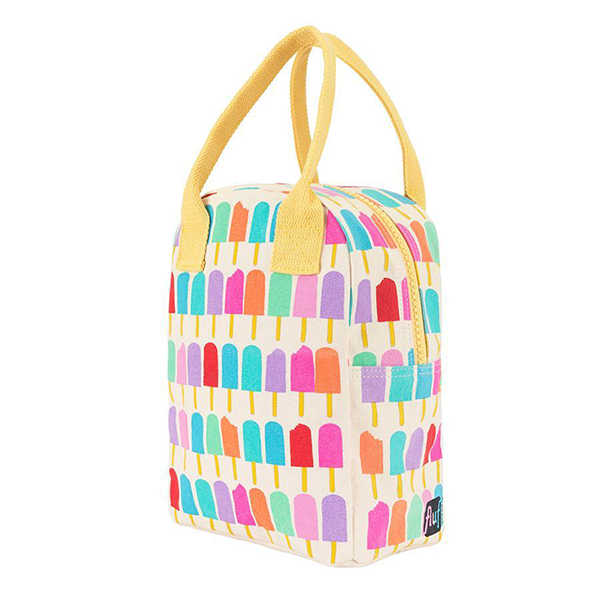 Fluf’s washable, eco lunch bag has an organic cotton outer and a yellow wipe-clean, food-safe (phthalate, BPA, heavy metals, AZO and formaldehyde free) polyester lining. 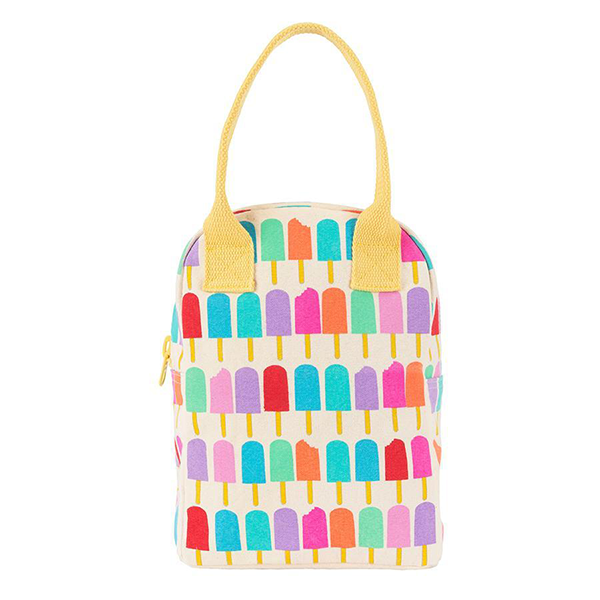 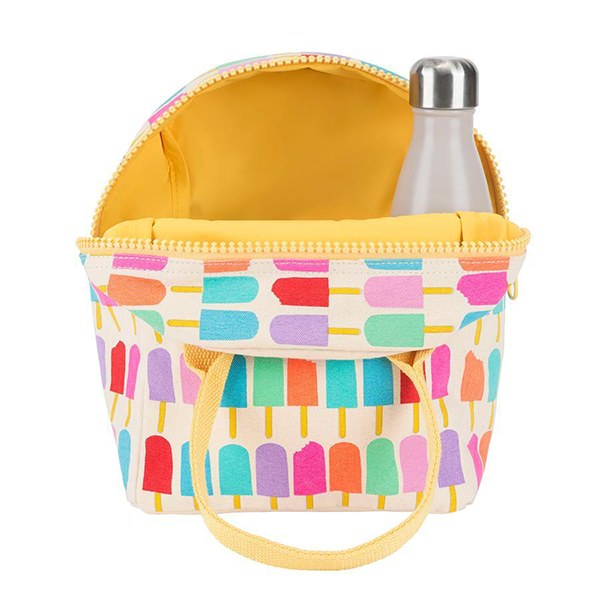 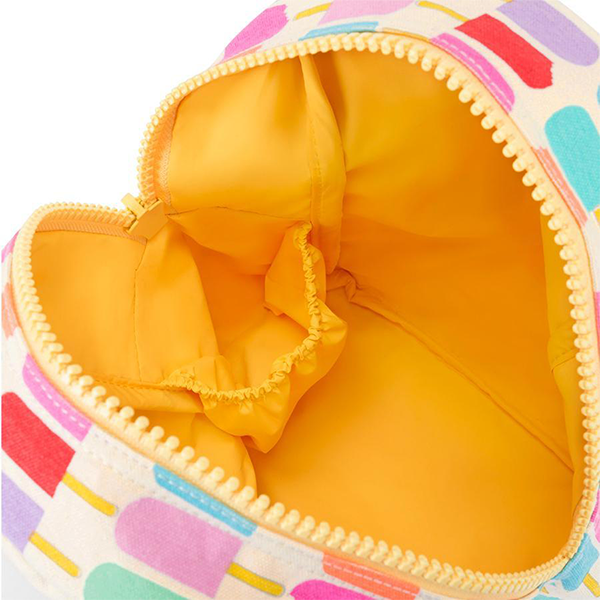 With it’s cheerful, fun popsicle print, it comes with an interior pocket for securing a drinks bottle and lots of room for a yummy lunch or snack. 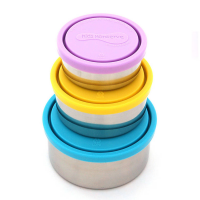 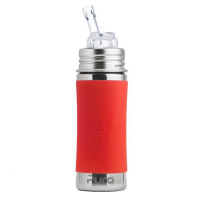 Perfect for school lunches and picnics or work, team up with a reusable drinks bottle and stainless steel sandwich and snack container for a tasty waste-free lunch on the go.